The approach of autumn usually signals that it’s time to update our wardrobes and whilst there are some stylish men who will already have worked out which of the upcoming trends they want to adopt, I suspect the average bloke is still muttering about how his range of Motorhead, Black Sabbath and tropical patterned tee-shirts will be quite enough to last throughout the winter. The answer is some sensible negotiation and a spruce up of the Husband’s wardrobe with some stylish shirts, tees and hoodies. We recently discovered Mainline Menswear, a leading retailer specialising in men’s designer clothing, footwear, and accessories. Established in 2004 the Mainline Menswear website carries a huge range from top men’s fashion brands such as Armani Jeans, Armani, Hugo Boss, Diesel Jeans, G-Star, Adidas Originals, Fila Vintage, Franklin and Marshall, Ralph Lauren, Original Penguin Clothing, Superdry, Lyle and Scott, Pretty Green, Levis Jeans, Replay Jeans, Stone Island, CP Company, Paul Smith, Henri Lloyd, Ted Baker, Belstaff Jackets, Lacoste Trainers, J Lindeberg, Fred Perry, Mens Timberland Boots, Luke 1977, Edwin Jeans, Cruyff Trainers, Nike and more! You can find Designer Jeans, Designer Jackets, Designer T-Shirts, Designer Jumpers, Designer Long Sleeved Shirts, Designer Shirts, Designer Shoes, Footwear and Trainers, Designer Socks, Watches, Designer Flip Flops, Designer Boxers and Designer Swimwear. All orders are dispatched using their premium UK next day delivery service. 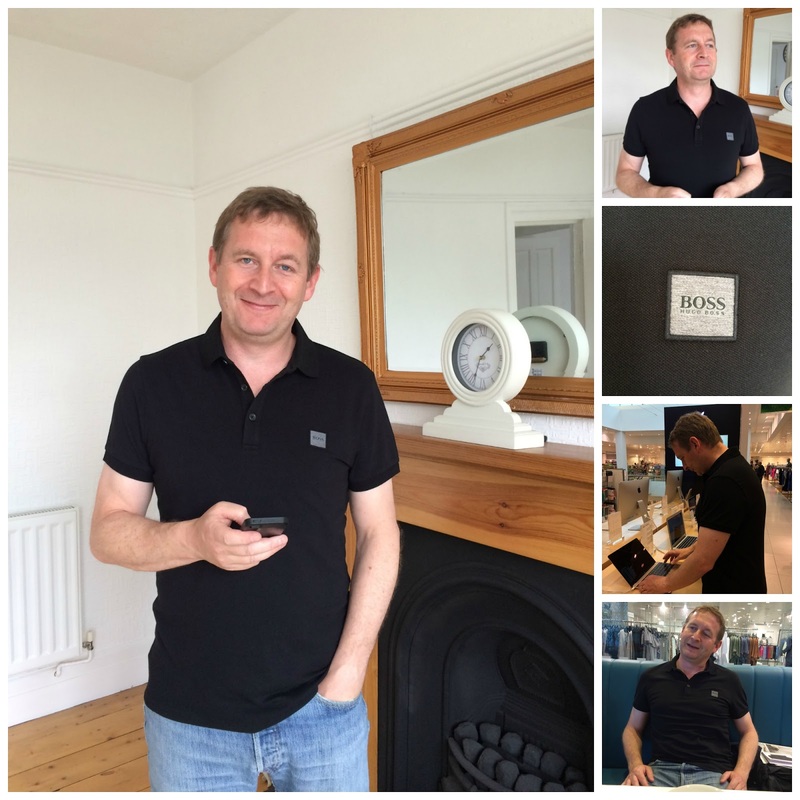 We were offered a Hugo Boss Polo Tee Shirt to try and the husband chose the one pictured above. The quality is excellent and the sizing ‘true’, with no pulling under the arms and with a sensible length in the body. And Mainline Menswear have kindly given me a £100 gift voucher for one lucky winner so that they can update their autumn wardrobe. Entry is via the Rafflecopter widget below and the usual terms and conditions apply (on my competitions page). The giveaway is open to UK entrants only and ends at 11:59 pm on Sunday 18th September. 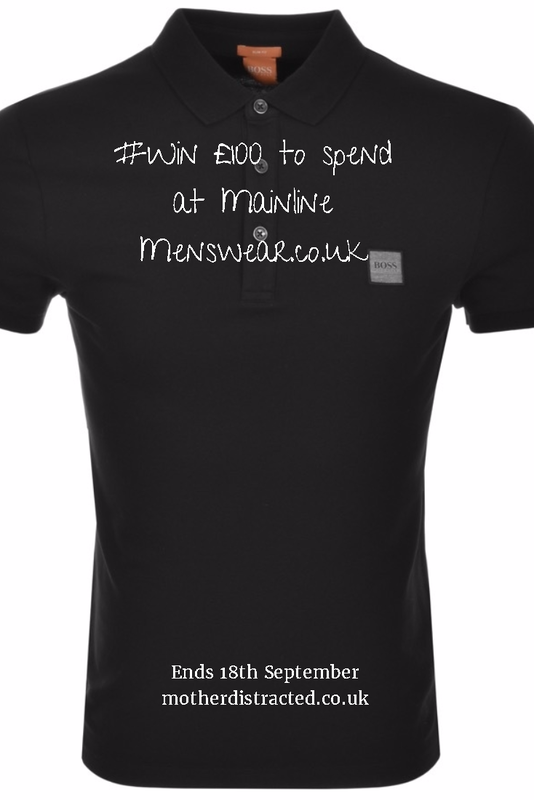 For more information visit Mainline Menswear online or you can find them on Facebook, Twitter or Instagram. "Review: Nurture Fruity Water+ – A Healthier Children’s Drink"
"Review: Our Holiday Home Rental From Toad Hall Cottages, Kingsbridge, Devon"